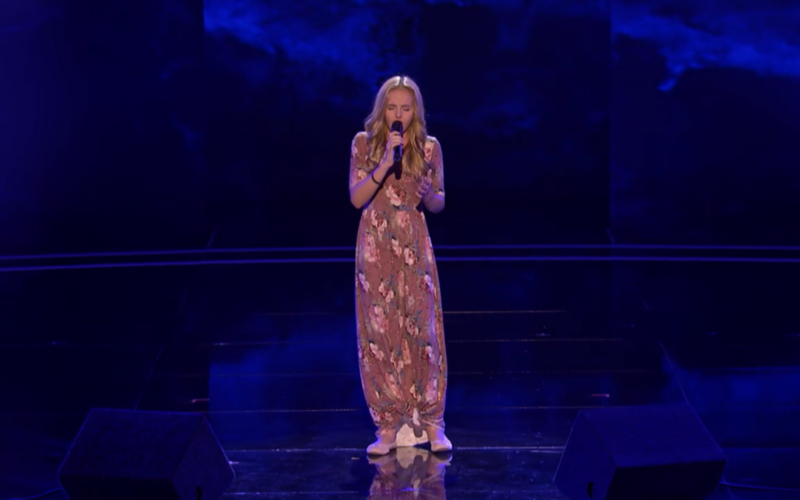 Evie Clair appears to be an early favorite in the latest season of America’s Got Talent, especially after the latest sneak peek of her upcoming performance on the latest episode of the popular NBC talent show. The video ends before the judges determine whether or not Clair will advance onto the next round, but fans are confident that they’ll be seeing more of her on the show. At just 13-years-old, Clair is able to project emotion into her song that is well beyond her years. Her talent has made the young LDS artist popular all over the country and it will be exciting to see is Clair is able to move on in the competition. The next episode will air tonight, July 25, on NBC.